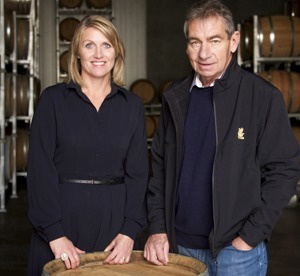 Palliser Estate Wines of Martinborough has named Pip Goodwin as its new Chief Executive Officer. Goodwin will be succeeding founding Managing Director Richard Riddiford, who announced his retirement this year after 25 years at the helm. She will assume her new role in September. 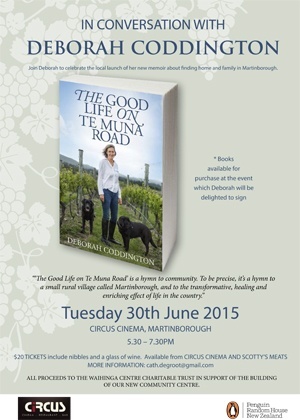 Few other Martinborough residents’ name would be as well recognised New Zealand wide as Deborah Coddington. 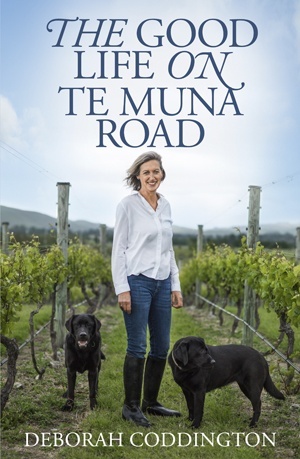 In her career Deborah as included journalism in North & South and Eve magazines, for the BBC, Sunday Star Times, NZ Herald and Radio Live. Deborah has also been a television political commentator and a member of parliament – among other things. It’s very good news. The Charities Commission has granted the Waihinga Centre community fundraising project charitable status. We’ve had a lot on our ‘plate’ these last two months, firstly our ‘SuperGrans’ poster was put up around town promoting free cooking demos at St Andrews Church.. the good folks there had let us use their kitchen and have the SuperGrans come show us how to cook up some simple meals for the family, last week we made delicious muffins and scones. This cooking demo was well received with a good group of parents coming along, thank you so much to the SuperGrans.